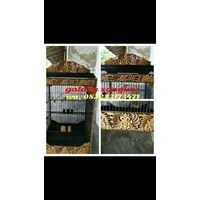 Sell ​​Carved Bird Cages Cheapest Cheap Prices From Galaxy Bird Cages in Surabaya. 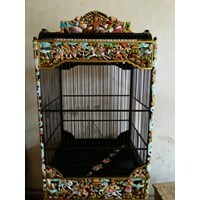 What is a bird cage? 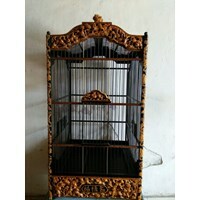 Bird cage is a place to keep birds or bird cages which are usually made of wood, bamboo and iron. 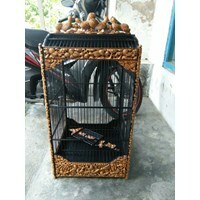 There are many forms or models of bird cages, including round and square. 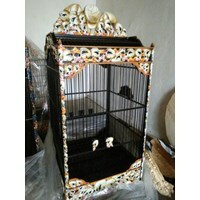 Bird cages are usually painted in various colors or with wood varnish to beautify the aviary. 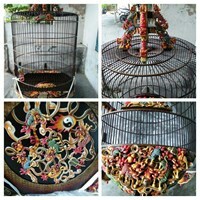 In addition to cage painting, to beautify usually bird cages made of wood and bamboo decorated with various carvings. 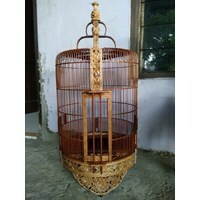 There are many types and models of carved bird cages that we sell include: pleci bird cage, blackthroat bird cage, magpie bird cage, lovebird bird cage, bird kacer cage, green cage, carved bird cage, round carved bird cage, bird cage box without pole, red anis bird cage, brangkar bird cage, crane bird cage, turtle bird cage and simple race bird cage. 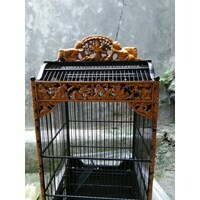 Bird cage carved with rose motif bamboo Size 38. Natural funishing. 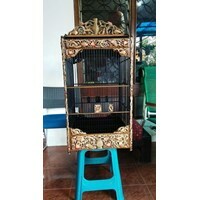 Anda Mencari "Carved Bird Cage"? 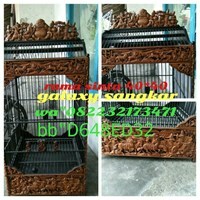 Buat Permintaan Untuk "Carved Bird Cage"